The mushroom stands out due to its funnel shaped hat, through its color varying between gray and light beige, not to mention its velvety-like surface. Concerning the flavor, it’s a lot like boletus mushroom with a little hint of hazelnut. For the record, death trumpets owe their name to the fact that they emerged around “All Saints Day”, also known as “celebration of the dead”. 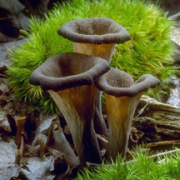 – Dried Black trumpet : to rehydrate this type of mushroom, soak it in lukewarm water for about thirty minutes. Once this is done, black trumpets are generally used as fillings for duck or veal dishes. However, they can also be fried and savored with a simple parsley. 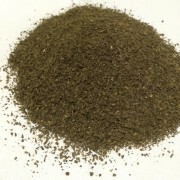 – Powdered or mealed Black trumpet : one uses this mushroom in many culinary preparations, including meats. Indeed, the latter is known for bringing a country like flavor to pâté, terrines and foie gras. It can also be used for the same reason with cream based sauces.